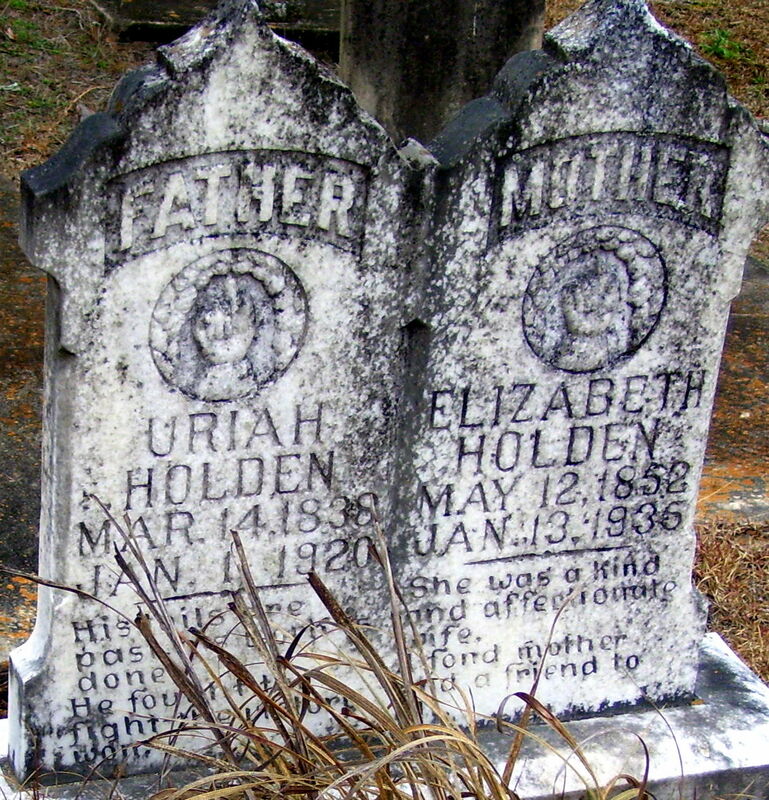 Uriah Holden (1838-1920) & wife Elizabeth (1852-1935). In the 1910 Cassville, Bartow, Georgia US Federal census, "Urier" and "Lizziebath" are found on page 19B of ED #7. Uriah's age is listed as 66 years (b. abt. 1844). In the 1880 North Atlanta, Fulton, Georgia census, Uriah is found along with his wife and children. His age is listed as 36 (b. abt. 1844). Next I find Uriah in the 1870 Ellijay, Gilmer, Georgia census, aged 24 (b. abt. 1846). In 1860, he's 17 (b. abt. 1843), and in 1850 Uriah is 6 years of age (b. abt. 1844). Census records are notorious for their inaccuracies, but these birth years are fairly consistent. Uriah was born between the years of 1843 and 1846. Right? Well, his tombstone gives the birth year of 1838. I also found a Confederate pension application for Uriah Holden, submitted in 1912 from Bartow County, Georgia. In a section containing "Questions for Applicants to Answer," Uriah claims he was residing in Cassville, Georgia. A question posed was "How long and since when have you been a continuous resident citizen of this state?" The response, supposedly given by Uriah himself, was "I have lived in Ga since birth age 65." That would put his birth year at about 1847. So there are problems with the birth date on the tombstone, but the death date should be accurate right? Hold up a second, I found issues there as well. Uriah Holden and wife Elizabeth are found in the Irwin County, Georgia US Federal census taken 14 January 1920. Uriah's tombstone states he died a couple of weeks prior to the census taker's visit. Furthermore, contained in Uriah Holden's Confederate pension file is an application by Elizabeth for the widow's pension. Information she provided and signed for states Uriah died 1 January 1921. Why is Uriah's tombstone information off from what the truth seems to be? I cannot say for sure, but my theory is the tombstone was not placed until the death of Elizabeth. 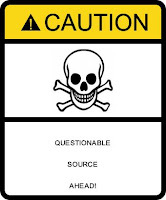 And a person with "intimate knowledge" regarding the birth and death of Uriah was not the one to provide information to the stone carver. Also, records suggest Elizabeth was Uriah's second wife. Maybe the stone was placed by Elizabeth with her knowledge of Uriah's birth being inaccurate, and the carver making a simple mistake on the death year. 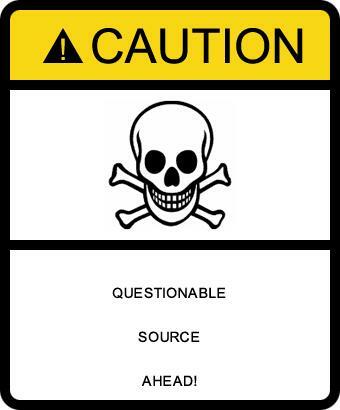 I was hoping to find Uriah's death certificate among the ones available for Georgia online, but I have yet to find it. I think it, if filled out completely, might be an interesting read.